I first saw a review of Bremont when the jaguar range was released. After to be honest an initial sceptism of a British brand (I was new to the collecting bug) I did some research and was hooked on the brand and this model in particular. After a while I was lucky enough to get this pre owned (6 months old) and I had never seen a Bremont to say I was blown away was an understatement 3 years or so the love still grows. Was only walking under that clock on Tuesday. Nice watch. Great looking watch! 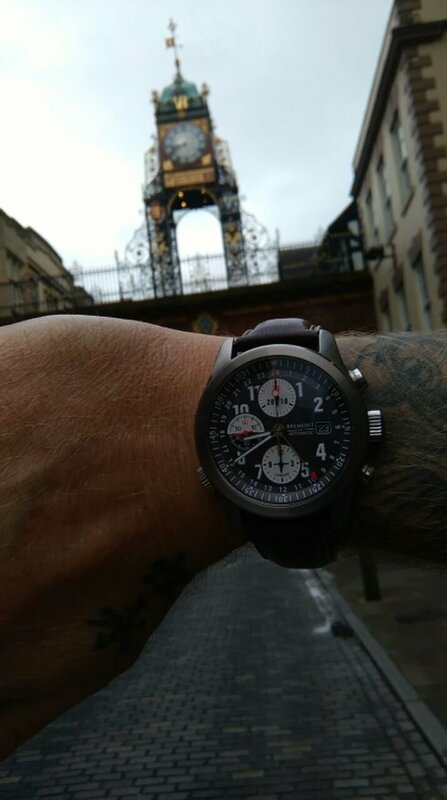 Just got my first Bremont today, and having only recently discovered them myself, must say I am very impressed. Hope your love continues! I went to the townhouse event yesterday and really enjoyed wandering around and looking at the new models.